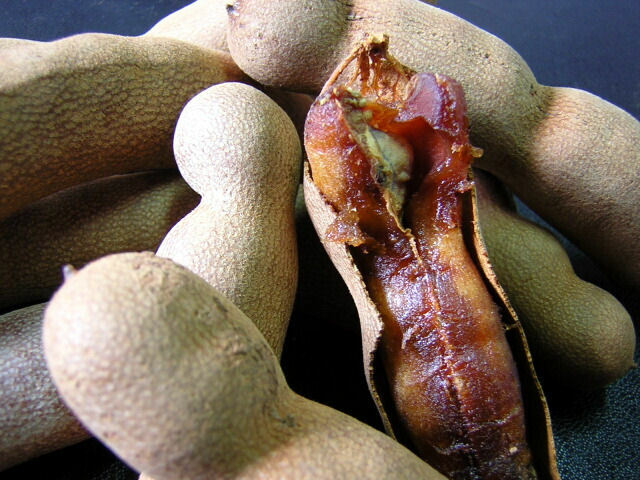 I am a little taken with tamarind at the moment. As all adventurers need to get used to local delicacies, with no thought of personal danger, I have been experimenting with a cocktail for you! Shake over ice and pour into a chilled glass with a couple more ice cubes and a twist of lime peel for garnish, you can top up with plain soda or tonic water for a longer drink. To make the syrup, mix 1/2 cup sugar with 1/2 cup of water and boil for three minutes. add 1 tablespoon of tamarind paste or sieved pulp and mix well, removing from the heat and bottling when cool. That sounds wonderful! We had some friends once who had something that looked similar, only they called it an icecream tree. They let us have some pods and it was delicious. I wish I knew if it was the same thing or something different again!